This book, originally published in hardback by Harper & Brothers in 1943, is once again available, in a 1971 paperback edition from the University of Texas Press. 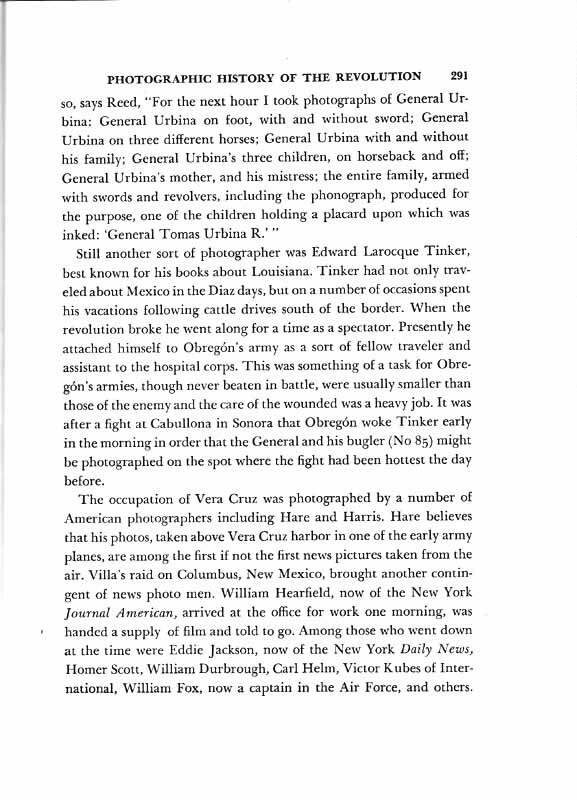 The book is divided in two: Brenner's essay in four sections comes first, but is not included in this on-line reproduction. 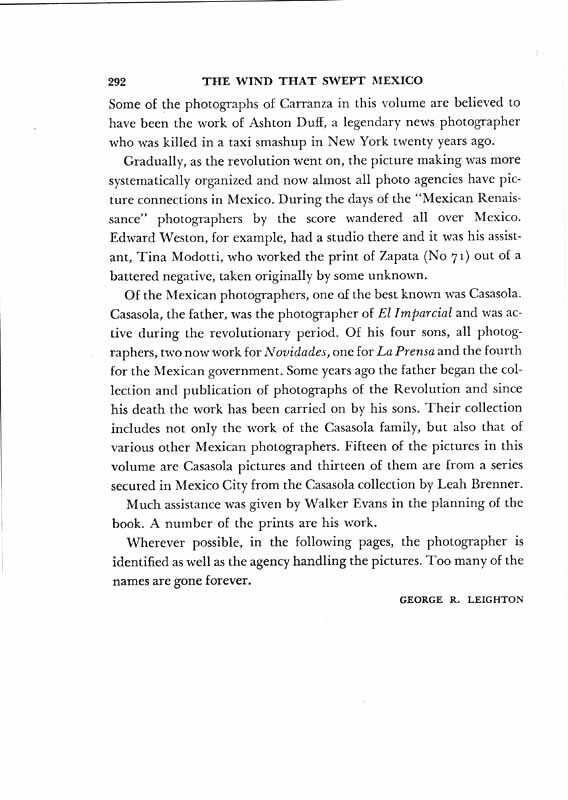 What is available here is the photographic section of the book: 184 images covering the history of the revolution, each with a caption drawn from Brenner's essay. The photos represent the work of a variety of photographers, assembled by Leighton. 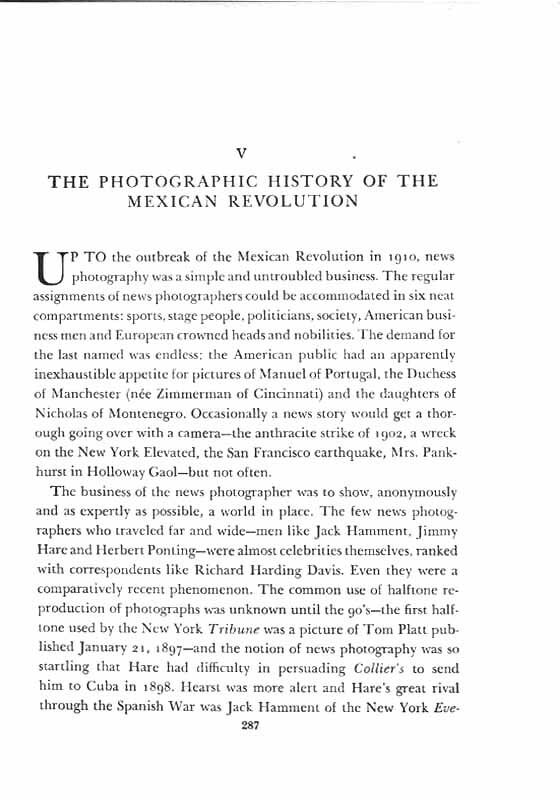 His brief essay on the role of photography in documenting the revolution is also included here, as well as the chronology, and credits for photographers where names were known. 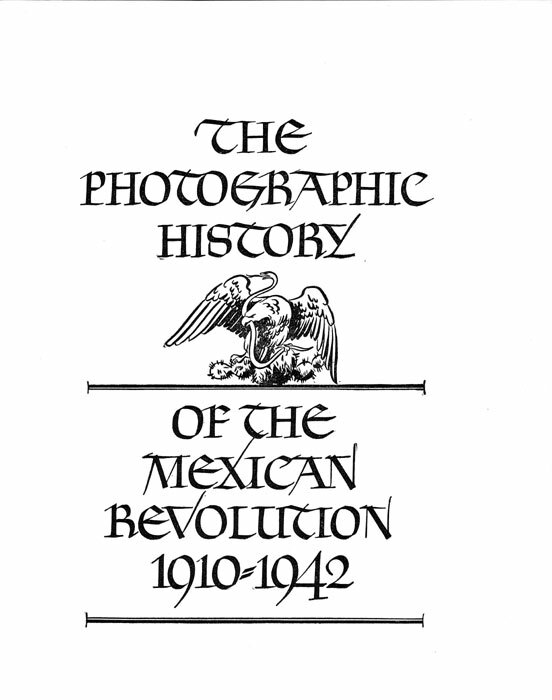 These images were scanned from the original 1943 edition. 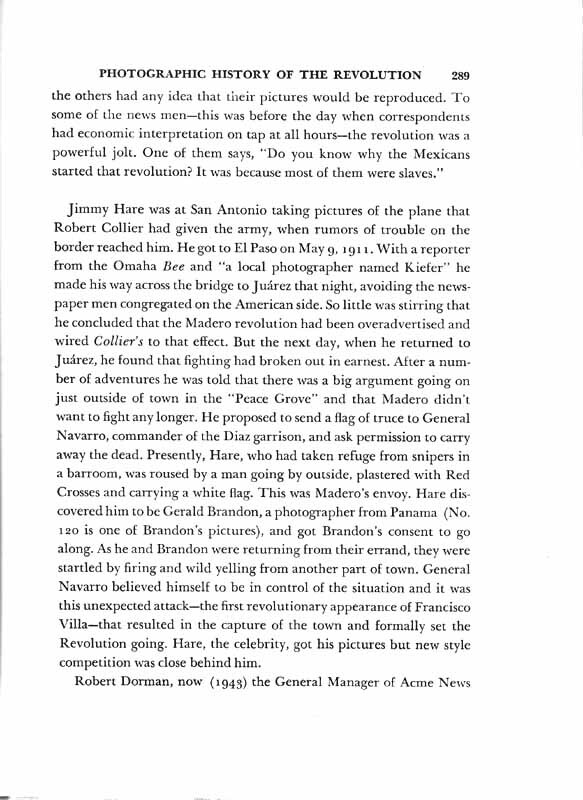 At the book's close, speaking of her sources (eye witnesses, biographies and memoirs, statistical sources) Brenner notes that this was the first time the story of the revolution was "put together" in English. 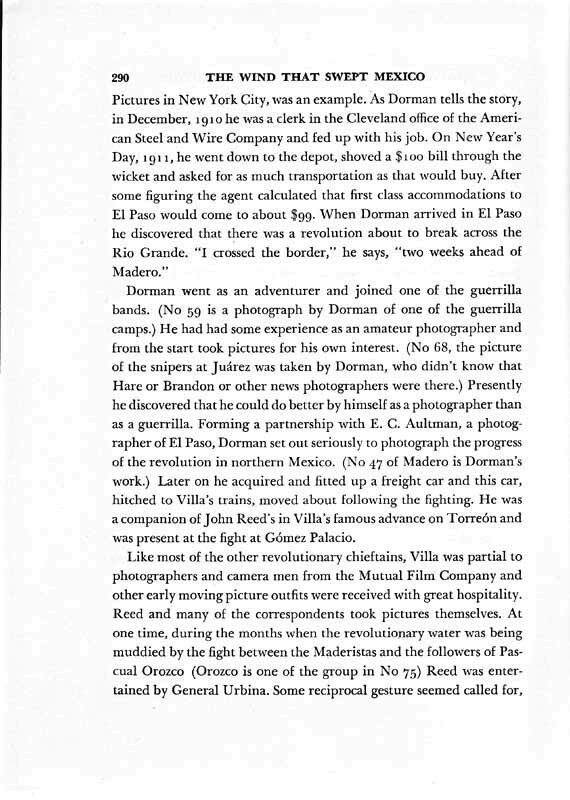 Speaking of herself in the third person, Brenner notes: "She does know that enough checking and digging has been done through a good many years, to make her sure that she has arrived at a more complete, accurate and fair account than has so far been published." Later historians agree, and have given Brenner and Leighton much deserved credit for producing a clear and basic account of this turbulent, often confusing history. Select the image or the arrow to go to the next page. Arrows above the image will take you forward or backward through the book. Captions are at the bottom of each image, and depending on your screen size, you may have to scroll down to read them. 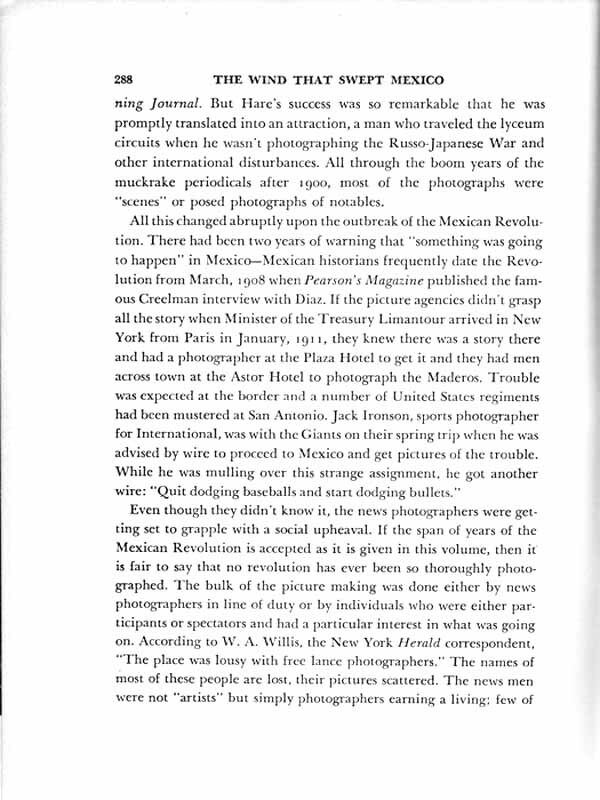 Below: George Leighton's essay on the photographs -- select any page to enlarge; use the back button to return. (from an old negative) 72.